When I was growing up my parents would always talk about Sunday brunch, the breakfast and lunch hybrid reserved for Sundays. Once I hit my 20's, brunch with friends would be scheduled for Saturdays too, so for as long as I can remember brunch has always been a weekend affair. But what if you're craving brunch on a Wednesday? Whether I'm cutting into perfectly poached eggs with a loved one or toasting mimosas with friends over good conversation, there's just something special about brunch that makes it high priority on my weekend to-do list. But given the nature of my profession brunch only happens on alternate weekends, so it definitely feels like I'm missing out on the weekends that I'm scheduled to work. I'm sure I'm not the only one that feels this way, but luckily there's a new option for those of us that work weekends; say hello to weekday brunch at Pip! 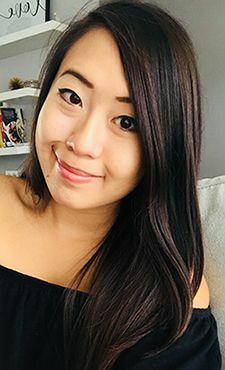 Down the street from MEAT and next door to the Next Act Pub, Pip is the little sister to these two well-loved restaurants of Old Strathcona. 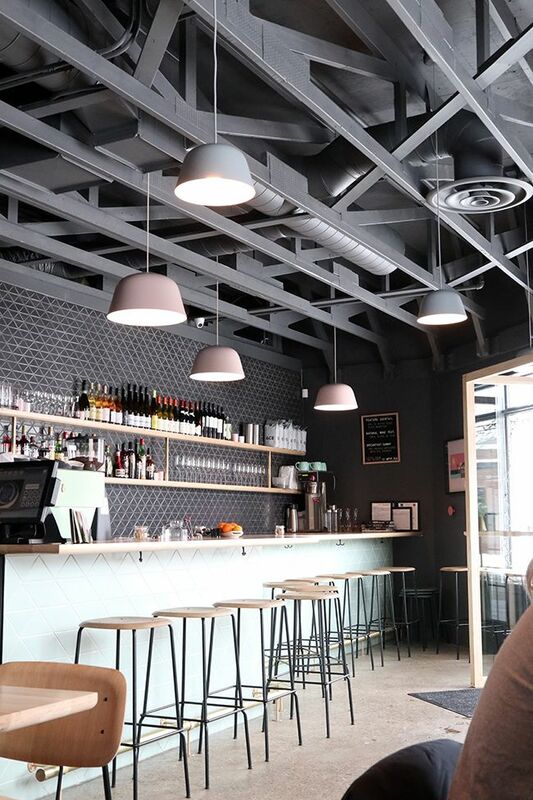 Pip's 28-seat space is much smaller than the space occupied by its big sisters and differs with it's minimalist decor and a hip, sophisticated vibe. The space is cute and cozy with soothing shades of slate, mint, and birch. 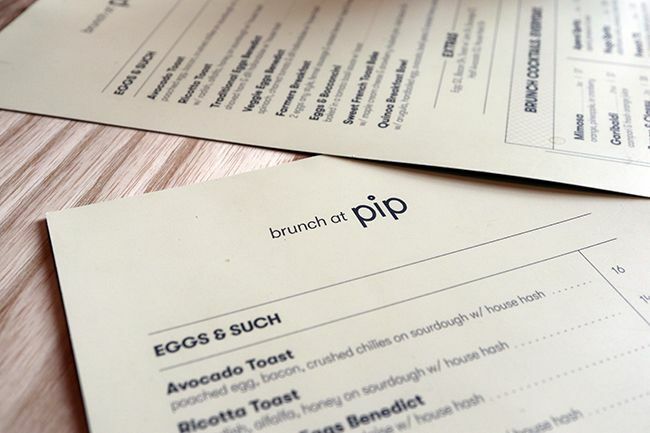 Pip serves brunch daily until 3 pm, which is perfect whether you're an early riser or you like to start your day a little later. The brunch menu is short and sweet with 8 dishes, some optional sides, and a handful of fresh cocktails to enjoy. 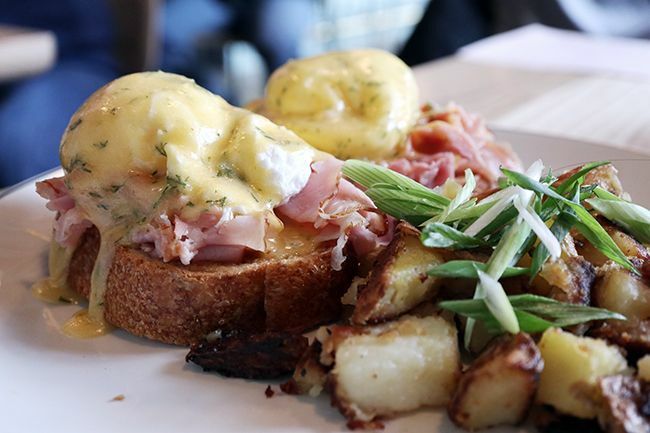 I've been to Pip on two occasions now and enjoyed the Traditional Eggs Benedict ($17) both times. 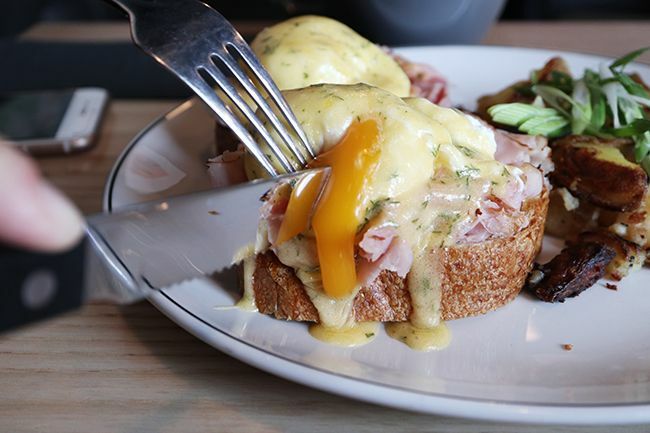 Two perfectly soft poached eggs sit on thinly shaved ham and are generously covered in a rich, buttery dill hollandaise sauce. I could argue that the hollandaise is one of the best in the city - I almost licked my plate clean! The accompanying pan-fried house hash was flavourful, although the potatoes could be a little more crispy for me. 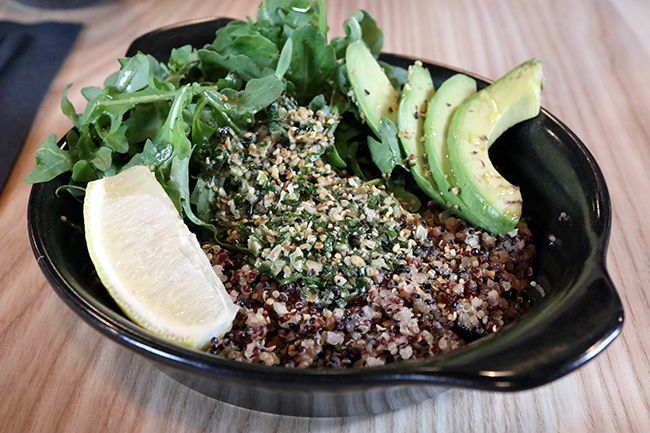 The menu offers a Quinoa Breakfast Bowl ($14) for those looking for lighter fare, served with arugula, avocado, basil pesto, toasted hemp seeds and a hard boiled egg. With all the components mixed together and a generous squeeze of lemon juice the bowl is a fresh start to your day. 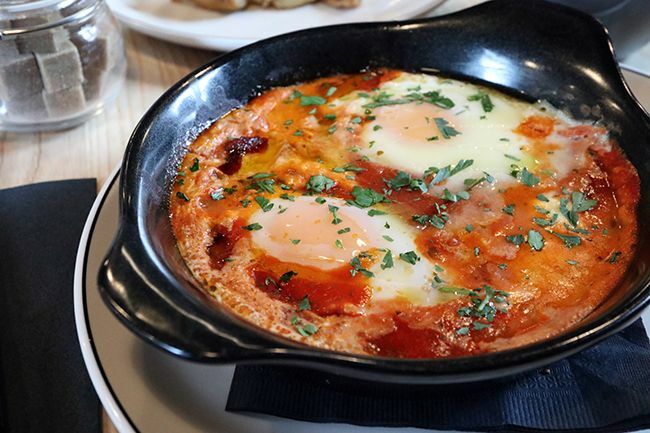 Perfect for a cold winter morning, the Eggs & Bocconcini ($15) baked in a tomato basil sauce and served with toast is a soul-warming dish. The rich egg yolks are well balanced by the tangy tomato sauce. Spoon it onto a crispy slice of toast and you have a hearty breakfast! 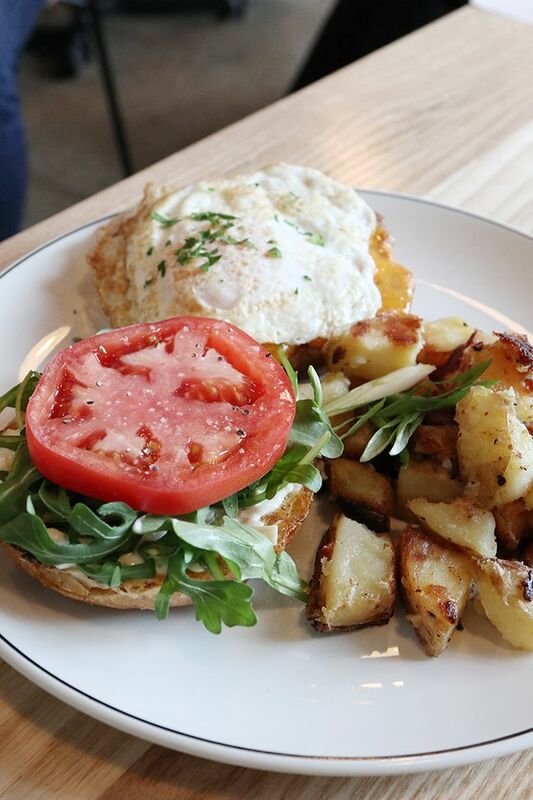 Pip also offers a rotating breakfast sandwich special paired with house hash, and on our particular visit the sandwich featured a Meuwly's Italian sausage patty with artichoke mayo, tomato, arugula, melted cheddar and a runny fried egg on a sourdough bun. The sausage was well seasoned with a little kick and the sandwich was delicious with all the components combined. Who doesn't love a breakfast sandwich with an oozy egg? If the line-ups out the door are any indication, Edmonton's brunch game is picking up and I'm glad to have a weekday option available in the city. Unfortunately there are no reservations for brunch, so line up early or be prepared for a wait. Given the small space, tables for two have the quickest turn over, so bring a loved one or a close friend for brunch any day of the week. yummy,those dishes look delicious...This restaurant seems great!